CLICK ON "SKY BOOKS PRODUCT LINE FOR BOOKS"
Stories of the inner earth have both fascinated and perplexed mankind since the dawn of time. Now, for the first time, hard scientific data is provided that the earth’s core is not what conventional science has always assumed. 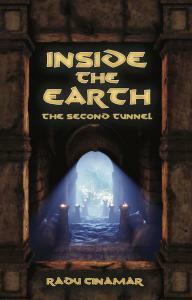 More amazing than the science, however, are the personal adventures of Radu Cinamar whose position in Department Zero, Romania’s secretive intelligence division, allows him to penetrate ancient subterranean passage ways and meet citizens of civilizations in the inner earth. Inside the Earth also provides us with a glimpse of the fabled city of Shambhala, a paradise at the core of the inner earth itself where balance and harmony are the basis of civilization. Within the core of the earth is intelligence reaching far beyond the scope of ordinary human consciousness. Inside the Earth is an opportunity for initiation as you explore the frequencies of your own inner nature. More Details+Reg. Price $22.00 $17.00 On Sale! 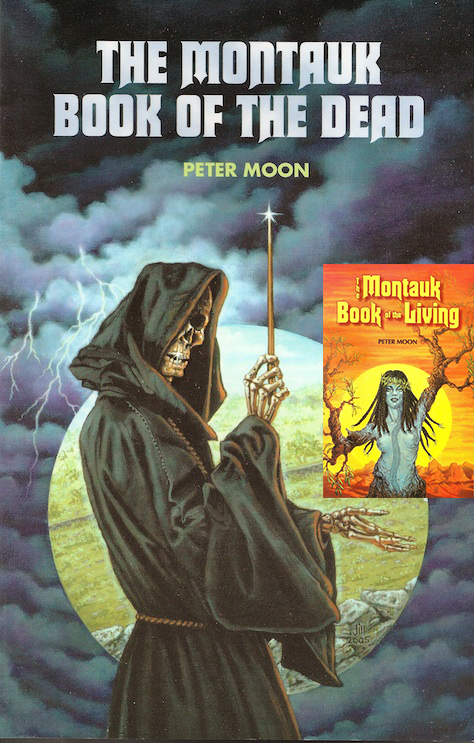 This is the 25th year Silver Anniversary Edition of The Montauk Project: Experiments in Time which was originally released in 1992, causing an uproar and shocking the scientific, academic, and journalistic communities, all of whom were very slow to catch on to the secret world that lurks beyond the superficial veneer of American civilization. A colloquial name for secret experiments that took place at Montauk Point’s Camp Hero, the Montauk Project represented the apex of extensive research carried on after World War II; and, in particular, as a result of the phenomena encountered during the Philadelphia Experiment of 1943 when the United States Navy attempted to achieve radar invisibility. The Montauk Project attempted to study why and how human beings, when exposed to high powered electromagnetic waves, suffered mental disorientation, physical dissolution or even death. A further ramification of this phenomena is that such electromagnetic waves rescrambled components of the material universe itself. According to reports, this research not only included successful attempts to manipulate matter and energy but also time itself. 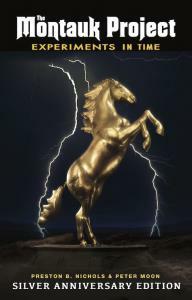 In this Silver Anniversary Edition, you will not only read the original text, accompanied by commentary which includes details that could not be published at the original time of publication, but also an extensive summary of a twenty-five year investigation of the Montauk Project which culminated in the scientific proof of time travel capabilities. Read the book and discover the most exalted capabilities of Man. Reg. Price $44.00 $29.95 On Sale! These two books tell how Peter Moon's research into the Montauk Pyramids led to the discovery of a mysterious quantum relic. This relic has opened the door to understanding the greatest mysteries of history including the biological truth behind the Virgin Birth and how this theme intertwines with the descendants of these Amazons who live today and are known as the Blue People of the Sahara. Originally scheduled to be one book, the investigation of this quantum relic became far too involved, and the phenomena surrounding the relic itself required a major emphasis to be placed upon Peter Moon's early experiences aboard L. Ron Hubbard's famous "mystery ship" the Apollo which paved the way for the full investigation of the Montauk Project to take place. This quantum relic, however, has presented yet greater mysteries and these include the occult biochemistry of an Amazonian Blue Race which founded the Egyptian culture and honored the feminine principle through the star Sirius. Other occult surprises include new revealations concerning Aleister Crowley’s The Book of the Law that demonstrably reveals that the ancients who built the pyramids of Cairo and Mars knew deeper secrets concerning DNA that our scientists of tod ay. The pursuit of these various threads leads to Peter Moon’s encounter with Red Medicine, the Medicine Man of the Montauks who is destined to fulfill the Second Coming of the Pharoahs, a time prophesied by native elders which signals the return of ancient wisdom, universal brotherhood and healing . This is also the riveting personal story of Peter Moon which includes new streams of synchronicity that include the mystical background behind the events which led to the revelation of the Montauk Project. Old themes are revisited and more deeply explored, but there are more new twists and turns than ever. The legacy of the Montauk Pharoahs is explored as never before and leads to more truth than can be readily believe which is designed tolaunch a new era once prophesied by Native Elders as the Second Coming of the Pharaohs, said to signal the return of ancient wisdom, universal brotherhood and healing. You can now order both books at a discount. Reg. Price $59.95 $29.99 On Sale!